Feinberg Home > Office of Research > News & Breakthroughs > Podcast > What Makes Someone a SuperAger? What Makes Someone a SuperAger? "The SuperAging study is really multifaceted. Not only are we looking at biological factors, but we're also interested in how family history plays a role, what psychosocial factors play a role. I'm really trying to take that holistic approach." Scientists believe the average person's memory peaks in their 30s and begins to decline thereafter. SuperAgers follow a different trajectory. Their brains seem to age much slower, and when they reach the age of 80 or above, their brains look and behave like the brains of people decades younger. Emily Rogalski: "There's some serious science consequences to studying these individuals and some hopes that we have for studying them. One thing is, when we think about dementia and Alzheimer's disease, one way to study it is to look at what's going wrong with the brain and then try to fix or ameliorate or find a cure for what's going wrong there ... when you have a complex problem like that, sometimes it's really helpful to turn it on its head and look from a different vantage point or perspective. We think super aging offers that." Individuals who are age 80 and older are at greater risk for memory decline than individuals in their 70s or 60s. To be considered for the SuperAgers study, you must be over age 80 and have memory performance at least as good or better than individuals in their 50s and 60s. Emily Rogalski, PhD: "We ask them to take some paper and pencil tests to assess other aspects of cognition besides memory. We also ask them to participate in 3D scans of the brain using MRI technology or PET technology. We ask them to come back over time, we're interested in genetic factors, and then eventually we even ask them to donate their brain at the time of death." SuperAgers come from many different backgrounds and education levels and have encountered a variety of ups and downs throughout their lives. Some have experienced trauma, such as surviving the Holocaust or the death of a child. A current study with the SuperAgers evaluates their "life story" to gain some insights into how they've handled stress throughout their lives. Many SuperAgers seem to have great resilience in the face of stress. Emily Rogalski, PhD: "We all encounter stress and have the opportunity to react in different ways. One reaction can be to rise above and it seems like these SuperAgers are particularly good at really identifying the best in a situation and figuring out how to move on." Funding for the SuperAgers study is up for a five-year renewal from National Institutes of Health. Rogalski has a new set of hypotheses to investigate and hopes to broaden the study to include more racial and ethnic backgrounds and use new, sophisticated technology to more precisely characterize SuperAgers and discover new insights. For more information about taking part in the SuperAging study, contact Beth Makowski-Woidan. Emily Rogalski, PhD, has nothing to disclose. Erin Spain: This is Breakthroughs, a podcast from Northwestern University Feinberg School of medicine. I'm Erin Spain, executive editor of the Breakthroughs newsletter. There's a fascinating group of people being studied here at Northwestern. They're all living past the age of 80, but with the mental faculties of people decades younger. They're called SuperAgers and they're helping scientists understand why some people's brains age better than others. Emily Rogalski has been studying SuperAgers for more than a decade. She's the principal investigator of the SuperAging study and the Mesulam Cognitive Neurology and Alzheimer’s Disease Center as well as an associate professor of psychiatry and behavioral sciences here at Feinberg. Thanks for joining me, Emily. Emily Rogalski: Thanks for having me here today. Erin Spain: So let's talk about aging. What typically happens to our brain as we age and when do things generally start going downhill in the memory department? Emily Rogalski: Really, we think that memory declines on average over the lifespan and that decline or that peak in our memory really might hit in our thirties and it starts going down in there. And so if you look at that picture, it's pretty bleak, right? And I think that that's a challenge too, because it starts to set up that expectation that decline is inevitable, the client is okay, and maybe it even predisposes us to that in a way. Um, and so the super aging program is about celebrating that while that might have happened, on average, if we look at the individual data, we see that people may not always, it's not inevitable that they have to follow that trajectory. Erin Spain: A big part of the center is to find treatments for these diseases like Alzheimer's disease. How do super agers help inform some of that other research? Emily Rogalski: Yeah. So I want to really stress that we don't just study super agers for the fun of it, although I do find it really enjoyable, and I feel really lucky to have met so many amazing individuals, but there's some serious science consequences to studying these individuals and some hopes that we have for studying them. And one thing is when we think about all Alzheimer's dementia and Alzheimer's disease, one way to study it is to look at what's going wrong with the brain and then try to fix or ameliorate or, or find a cure for what's going wrong there. And what we've learned in the Alzheimer's Disease research world is that that problem is extraordinarily complex and it hasn't yet gotten us to a point where we have a cure or a disease modifying treatment quite yet. And so when you have a complex problem like that, sometimes it's really helpful to turn it on its head and look from a different vantage point or perspective. We think super aging offers that. Erin Spain: So who are super agers what is special about these people? You're saying they don't seem to have that decline. That's the average decline. But what else have you found out about them that makes them different and why or their brains different? Emily Rogalski: Super agers have to be over age 80 and we pick age 80 because that's a time when, again, as you age, you increase your likelihood of having memory decline. So individuals who are at age 80 are at greater risk for memory decline than individuals in their 70s or 60s. And we can measure that performance difference on average. Then we said they have to be over age 80 and have memory performance at least as good as individuals in their 50s and 60s, so nearly three decades better than expected and some of them are doing far better than that. And so the first question was, we set the bar really high, could we find these people? And of course we did, but we really weren't sure at first the question was, will when we find them, what do we want to know about them? And this is another unique thing about our study is that we're not researching just one question. We're not looking at one protein or one area in the brain. We're really trying to take a holistic approach to say, let's look at the biological factors that may play in a play a role. So we're gonna ask these individuals to come in. We ask them to take some paper and pencil tests to assess other aspects of cognition besides memory. We also ask them to participate in 3D scans of the brain using MRI technology or PET technology. We ask them to come back over time we're interested in genetic factors and then eventually we even ask them to donate their brain at the time of death, which might sound like a little bit creepy thing to talk about at first. But it's actually really important during life we can see with a certain resolution. Kind of like when we got those digital cameras, at first. We were able, we were really excited because we could take lots of pictures and when we looked on the back of our digital camera, they looked really cute and great and then we printed them out in our faces were a bunch of squares because the resolution wasn't so great. We see that same thing in the living human right? We can only see with a certain resolution and when we look under the microscope are able to see with much greater precision. So this allows the study to really look at a variety of biological factors that wouldn't be otherwise possible. Erin Spain: And are most of the people who are participating in happy to donate their brain at the end of life? Emily Rogalski: It turns out that most participants are more than happy to donate their brain. We've had more than one say, well, I'm not going to be using it anymore, so that's fine with me. They can have whatever they want. Erin Spain: So you have a lot of characters in this study too. I mean, as you said, these, a lot of people are functioning as a 50 slash 40, maybe even 30 year olds at the cognitive level. Um, you have one person right now who's 104? That's correct. Is that the oldest person in the study at the moment? Emily Rogalski: It is. Our 104 year old. Is the oldest person in this study so far? So we require people to be at least 80 years old when they enroll. But then the sky is the limit from there. So some people enroll at age 80 while others might enroll at age 102, and then we follow them over time. Erin Spain: I feel like being around them, I mean you're a young scientist but keeps you young too, just like hearing their stories and how much you can do at that age. Emily Rogalski: Absolutely. I think that's a really fantastic message to offer is, there's a lot of stigma around aging and it gets back to sort of our expectation as we age. So if we forget where we put our keys the first time or where we parked our car in the parking garage and we start to just chalk that up to "Oh, I'm getting older." Then it seems like that might lead to the next time saying, "oh well I'm not supposed to remember that anymore." And so I think super agers are really inspiring in that way to say, hey, perhaps if we all expected it a little bit better and we thought a bit better, maybe we could all inch towards that goal of having better memory as we age. Erin Spain: Let's talk about their brains. So you said you use MRI, you use pet technology, what are you looking for and what are some other results that you've found in your studies? Emily Rogalski: Absolutely. So we started out with some simple questions. So if super agers have memory performance at least as good as 50 to 60 year olds, then what are their brains look like? Do they look more like the 80 year olds who they match in age with or do they look more like the 50 to 60 year olds who they match in cognitive performance with? And what we see was really remarkable. So the first comparison we did by looking at the brains of average 80 year olds to average 50 year olds is we see a lot of what we call atrophy of the outer layer of the brain. You can kind of think of the outer layer of the brain, like the bark on the tree, and when we measure that, our outer layer of the brain, it gives us a proxy measure of the health of the brain. Because that outer layer contains neurons that are really important for thinking. When we look at that outer layer, an average 80 year olds versus average a 50 year olds, we see a lot of thinning and we think that that thinning in other research studies and ours included, is associated with a decline in thinking abilities, including memory. When we look at the super agers compared to the average 50 to 60 year olds, we see no significant thinning. The super agers brains looked indistinguishable from a group of healthy 50 to 60 year olds and then there was actually one more surprising finding which was really unbelievable. So I think the first part just thinking that their brains look like 50 year old brains was quite remarkable. And then there was a certain part of the brain called the anterior cingulate, which is really important for attention and attention supports memory. That part of the brain was actually thicker in the super agers than it was in the 50 to 60 year olds. Erin Spain: I mean, I haven't heard as people age, their brains shrink. Correct, but these folks, that's not happening. Emily Rogalski: So that doesn't appear to be happening in the brains of super agers that there the outer layer over their brain seems to be as intact as those who are in their 50s and 60s. And we ran a followup study to this too because the questions that come out of this are many, but one of them is, well, were they just born with thicker cortex, is a cortexes, rather, than just, it's still thinning at the same rate, but they had more to lose? The other question is, you know, are they resistant in some way to the thinning of the cortex that happens so often in older adults. And so what, what would be ideal is if we had MRI scans from their 10s, 20, 30s, 40s. So in the absence of that, what we can do is look forward and follow them and then look at the rate of change from one year to the next. When we do that, an average 80 year old versus a, the super agers, we see that the average 80 year olds are thinning at a rate of more than two, nearly two and a half times that of the super agers. Erin Spain: So they're just slowly, slowly aging. Emily Rogalski: That's right. So they really seem to be on a different trajectory. So this is kind of pointing to something biologically different about how their brain is aging. And so naturally that leads to the question of how, why, how do I get a brain that ages slower? And, um, I don't have any magic secrets today about if you eat 10 blueberries, then this will happen. But that's not really the intention of our study and I think it would be foolhardy to think that there is one magic ingredient to making this happen. But I think we can look for collectively factors that are protective and factors that are not, and the goal at the end of the day as to kind of stack up as many protective factors and keep away as many of the deleterious factors as you can. Erin Spain: It's not just their brains that you're looking at, as you mentioned, that's one part of it. Another part is you're sort of looking at their lifestyle and you published a paper last year, specifically looked at the social life of super agers and you found some pretty interesting, pretty interesting findings. Emily Rogalski: So the super aging study is really multifaceted. Not only are we looking at biological factors, but we're also interested in how family history plays a row, what psychosocial factors play a role. I'm really trying to take that holistic approach. And so we gave the super agers a questionnaire of psychological wellbeing and it had many different facets to it and when we compare their responses to responses of average 80 year old. So these again are 80 year olds who are doing quite well. These are individuals who are free of dementia, free of, of cognitive problems, and really thriving in their community as well. So it would in some ways be unexpected to find any differences between these groups. But yet we found that the super agers endorsed a stronger positive relationships with others. That's sort of a complicated way of sort of looking at, well, maybe it's something about their friendships and the closeness of their friendships or and we don't know specifically yet. So this has given us an additional clue to follow up on, to say, well, what is it about their relationships with others? Is it that they have more friends? How have they been able to maintain those friends? Have they looked to younger generations to kind of keep their youth? And so these are the types of follow up questions that will now ask about their perceptions of friendships and then the reality of how many friends they keep in, whether it's a few close friends versus a large social circle. Erin Spain: But are there some other traits or habits that seem to show up time and time and again with these folks? Emily Rogalski: Sure. So anecdotally, I can certainly report that the super agers seemed to be really actively engaged in life. So some of the, one thing we ask is about retirement and you might suspect that all of the super agers retired, but if you suspected that you will be wrong. Many of them are still working, sometimes they're in their encore career or their second career or third career, and so that's keeping them really active in life. And then others, if they're not still employed at their occupation, they're often volunteering and really engaged in the community or engaged in their grandkids life and playing a major role there. So we see that the super agers really do seem to have this active engagement in life in a really in that may be a positive factor that's helping them maintain their great memory performance. Erin Spain: How many super agers are there right now in this study? How may have there been over time and sort of just give me the demographics of these folks and their social economic backgrounds if you can. Emily Rogalski: Sure. So we've enrolled about 80 super agers to date. And again, some of them were enrolled 10 years ago and we've been following them since and then others were enrolled last week. One thing that you might be suspicious about and you say, well, well there's, there's a few things that you could be suspicious about. You could say, well, you know, they're probably all just doctors and lawyers and so it's inevitable that you found them because they were, you know, the most educated group and so they just started from a higher point in and they're declining, but it's just going to take them awhile to meet up with the average agers. And what we see is that not all of the super agers are doctors and lawyers. In fact, there's a range of education starting at 12 years of education. Another thing that we've looked at in our studies is, say, well, perhaps we just got lucky and that they had a really good memory day the first time they came in and that if we tested them over time, we would see that there's declined just like with everyone else. And so we did a study a few years ago to look at sort of if super agers were able to maintain their memory performance over time and we see that indeed the majority of them are able to maintain their memory performance. And we followed up with that study this past year and the first 10 super agers who donated their brains in our study and we were able to see that the majority of those individuals were able to maintain their memory performance as well. And some of them, again, we've been following for 10 years or even longer if they were involved in studies prior to this one at our center. Erin Spain: And not all these people are imperfect health. The brain health, the cognitive thing that's different. Some of them are still dealing with other aging, health related aging. Right? Emily Rogalski: That's a great question. So some people focus on having both good physical health and good cognitive health and while those things often go hand in hand, they don't have to. And so the way we organized our study was to say we're interested in people with good memory performance and then we'll see how often do they also have good physical health. And so that's resulted in individuals who sometimes need walkers and wheelchairs to get to us. And then other times we have people who are leading exercise classes. So again, we can look at that diversity and physical health as an outcome measure to see how common is it that everybody has a great physical health and then how does their physical health match their cognitive health over time. Erin Spain: People may wonder how you're finding these people. You are out in these communities, you are giving lectures, you are meeting people. Isn't that right? Emily Rogalski: That's correct. So there's a variety of ways that we hear and I'm find super agers and one way is by giving lectures in the community. Another way is by word of mouth. So sometimes super agers serve as our greatest advocate, recruiting other people into the studies. So we have reports of people who have posted our flyers in the laundry room of their retirement community. So we get calls from a variety of places. Erin Spain: They seem like they're pretty a good recruiters if they have such great social networks and they're living among all these folks. Um, would you say most of them are excited to share the experience with others or they're proud of the fact that there a super ager? Erin Spain: They want to act a little younger to pass a little younger. That's right. That's right. So brains are younger acting so to each their own. You even host parties for these super agers from time to time. 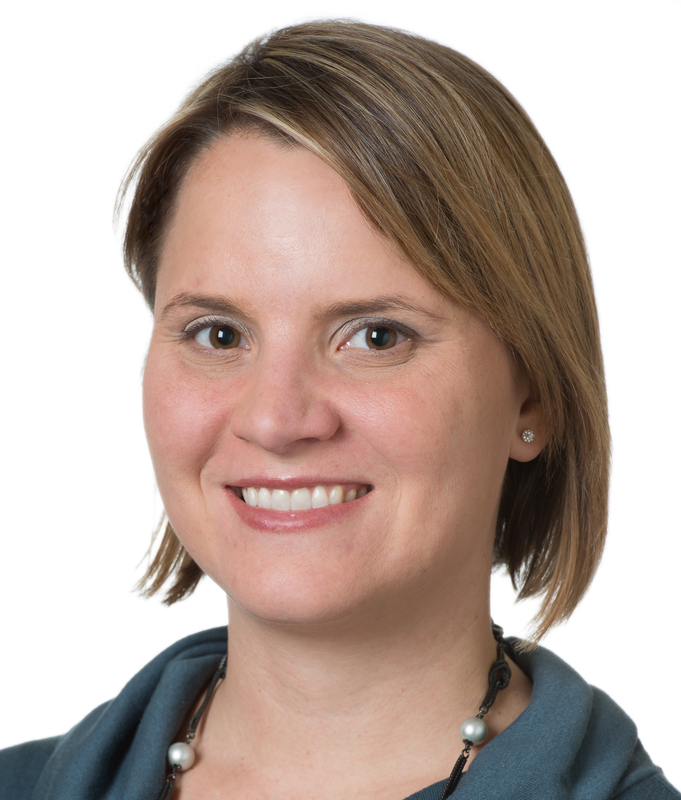 Emily Rogalski: We have held some parties for the super agers one request that really came from them after the first couple of years of running this study is, there was a lot of curiosity among the super agers, which is probably another theme that I think runs throughout the super aging group. They're curious in general, um, in addition to being kind of actively engaged in life and uh, oftentimes when they're interviewed, this word curiosity comes up but we have had a few get togethers for the super agers and mostly at their request, so they really were curious to meet other super agers. We've even had some individuals who said, well, I've lost my spouse and now I'm looking for another one, and so maybe another super ager would be a good fit. I could see that. So there's, there's all kinds of reasons to get together. Some super agers really enjoy their martinis and thought it would be a good idea to get together with other super agers to share a cocktail. I think there it's a really great way to, again, build that social engagement and we know about the negative and deal deleterious consequences of loneliness and the positive from the literature and the research, the positive consequences of really maintaining social relationships. So, we're glad to get them together. Erin Spain: You said there was a variety of education levels and careers. You just kind of anecdotally share with me who are some of these people. Emily Rogalski: I think one of the more interesting super agers is someone was first was a lawyer as their first career and then they retired, got bored and went back and got their certification to do taxes seasonally for h and r block. Another question that comes up about the super agers is, did they all just have really easy life? So, so perhaps they've just had less stressful lives. Life has been easier for them in some way? And we really don't see that to be the case. We see that the super agers and in many instances have encountered lots of different traumatic events from being a part of the Holocaust to losing a spouse or a child at a young age. So really they, and some of them are cancer survivors. So it's not that they are necessarily free of medical challenges or other life challenges, but this might be yet another theme that seems to permeate throughout the super agers is this idea of resilience in the face of stress. So I think we all encounter stress and have the opportunity to react in different ways and one reaction can be to rise above and it seems like these super agers are particularly good at really identifying the best in a situation and figuring out how to move on. And that brings up another aspect of the program. We've partnered with a group in the north campus, Northwestern's in Evanston campus and we ask, we've asked a subset of super agers to go through something we call "life story" and these are two to three hour guided interviews a that asks super agers to think about high points and low points in their lives. Think about your life as a book. What would the chapters be? Now you imagine if you're asking a 30 year old this question versus a 90 year old, this question, you're going to probably get a few more chapters from the 90 year old, but the group we work with in Evanston at the Foley Center for the Study of lives. Dr. Regina Logan and Dan McAdams or Regina Logan. They have a really, a wonderful way of quantitative thing. This very qualitative data that I think will add a really rich resource beyond asking some kind of simple demographic questions of how old are you? Where were you born? Um, so we have some graduate students in the lab up there working really diligently to look at how many themes of resilience do we see in super agers story. If, if we talk about a low point in someone's life, if you're describing a low point in your life, how do you, how do you share that story? Do you talk about that low point and then talk about all of the bad things that happened subsequent or do you take that low point and turn it into a learning moment and then share, well, this, this challenging thing that happened to me actually ended up leading to all these great things and we may gain some insights and how people tell their stories to how resilient they may be or to a bit more into their personality and the way they approach life. I think that's really instructive because it could also, if we find that these factors are important, these are things that we can think about doing tomorrow, right? I'm thinking about the importance of friendships and that if I call someone on my way home from work, that's my good friend, not only does it make me feel better, but it may have some good benefits to my brain. In the same same vein, if I struggle with stress or anxiety, we have individuals who can counsel and help with that. Just knowing that there can be a positive results that come from doing, from looking into that from the perspective of cognitive health can also be important. Erin Spain: Well, and it's interesting sort of like the stories we tell ourselves about our life and how we sort of frame our own life. It sounds like what you're saying is a lot of these people, they don't really frame the dark times in life as if they're a victim. Emily Rogalski: As a society, you know, our expectations about aging in that stigma, and it brings us back to where our expectations are at. And I think it's, we're ripe for some disruption there, so we've done a really good job over the decades of understanding aging a bit better, but we have a ways to go. So it wasn't so long ago that we used to think that everyone who got old, it was inevitable that you will going to become senile, was kind of the term that was used back then. And we didn't really recognize even Alzheimer's disease as being a disease, we just said, oh, that's just what happens. People are going to get old. You don't remember anything. Exactly. And then we got a bit more sophisticated and we recognize that all Alzheimer's disease is not a normal part of aging, but it's a disease pathway. That's an abnormal trajectory of aging. And, and then this idea of successful aging came into light and I think that did a lot of great things to talk about. Not everything is related to decline. And now there's, but there's still room to grow. And thinking about expectation how we can be successful. Erin Spain: You've enrolled about 80 people, 10 of those people have passed away since the study is began. Correct. So how long do you see this study going? And you're actively recruiting all the time. What do you see for the future of this study? Emily Rogalski: The way that granting cycles work at the National Institutes of Health is you can be funded for up to five years at a time and then you go through a process called a competitive renewal. And so we recently just a couple of months ago submitted an application for the next five years. And so we have a whole new set of hypotheses and so it's not just more of the same, but we really want to take and push the envelope of going a bit further to understand what's happening in the brains of super agers and then from a genetic standpoint and then if we added additional cohorts with different racial and ethnic backgrounds, and how can we used new sophisticated technology that's coming out to more precisely characterize these individuals and lead to new insights.